Super charge your health by eating more vegetables! Our easy vegetable recipes are made up of simple ingredients cooked just enough in order to bring out the best flavor of each vegetable. 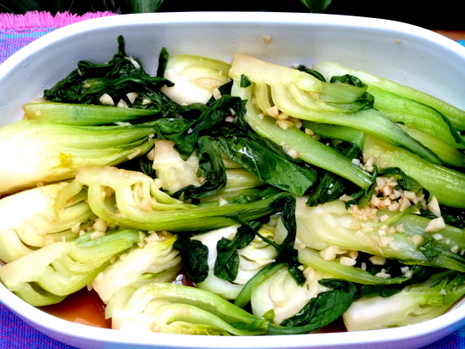 When some vegetables are over cooked, they can turn bitter, the texture can be mushy, and the sweet fresh taste has been lost. Next to eating raw vegetables, ones that have been steamed or cooked for a short period of time are the ones that will give you the best nutrition. Is your goal to eat healthier? Today, many people have really busy schedules and the last thing on your mind is to go home and fix a meal. Eating out or grabbing some kind of processed foods from the grocery store seems to be the norm today. If this is your life, your body is missing the nutrition it needs. Perhaps you are thinking it is time to get back on track. 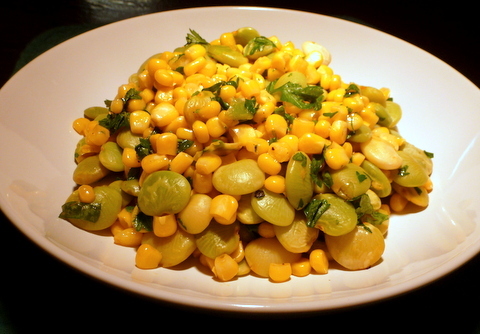 You can start here with some of our simple and easy vegetable recipes. With a little bit of planning, you can eat healthier. One of our favorite seasonings is used in almost every savory dish we prepare. 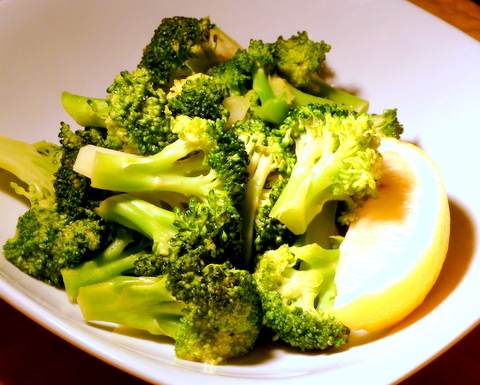 It takes only minutes to prepare this fresh broccoli recipe! 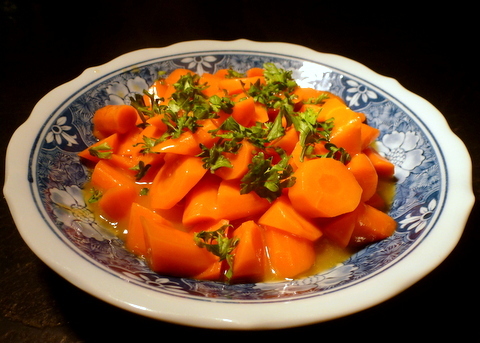 Here is a recipe where the common carrot is all dressed up! 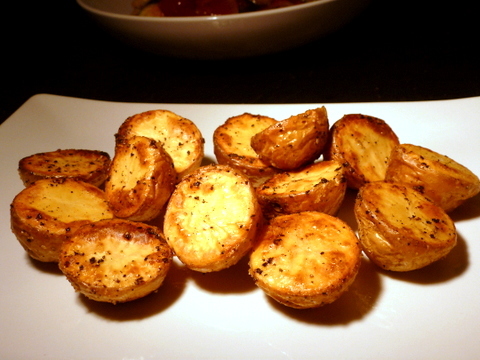 Season potatoes, pop them in a hot oven, in 20 minutes they are done! 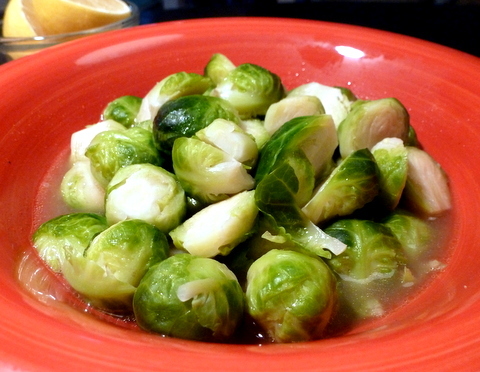 Here is how to cook Brussels Sprouts so they will be sweet and delicious! 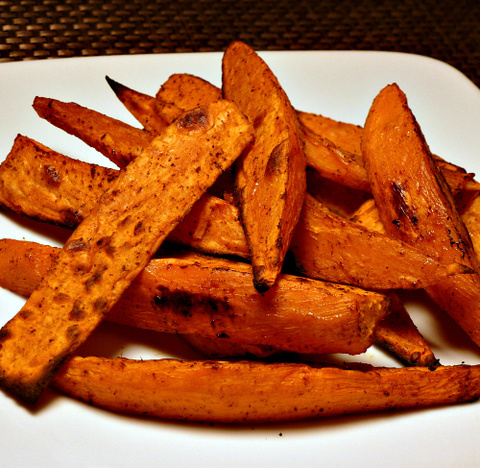 Easy vegetable recipes even include sweet potato fries! 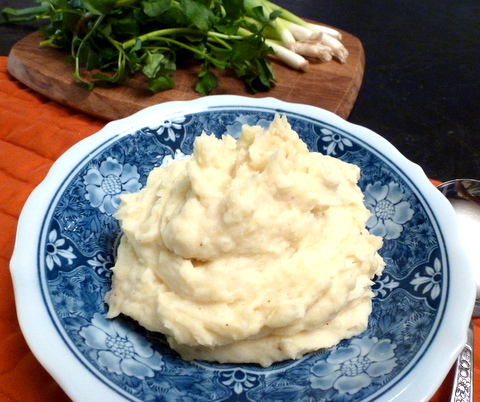 Check out the three variations of healthy mashed potato recipes! When two or more vegetables are combined in one dish, you may see in our easy vegetable recipes that they are being cooked separately, removed from the pan and reserved, only to be combined before serving. 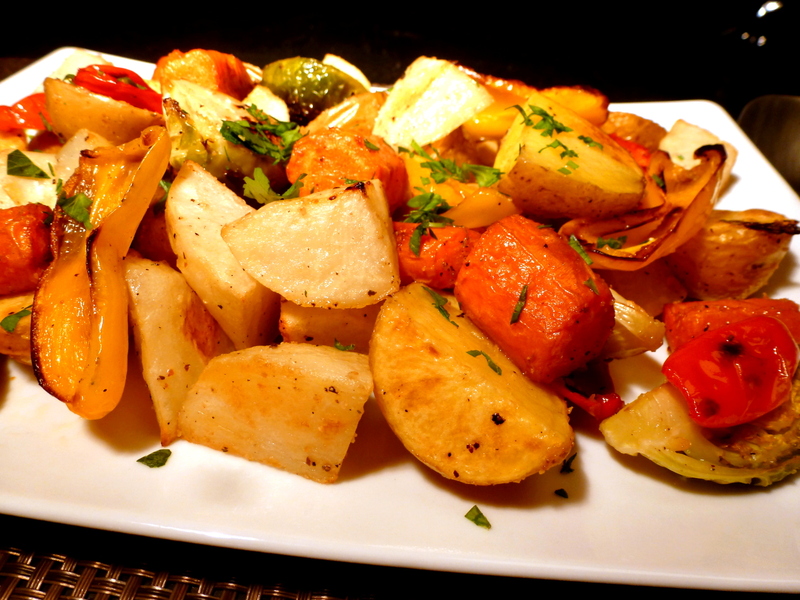 This method is to keep vegetables from being overcooked, and bring out the freshest and sweetest taste possible. Simple fresh beets are so much better than canned ones! Lots of different flavors in just one dish! This dish always reminds me of a "taste of home"! 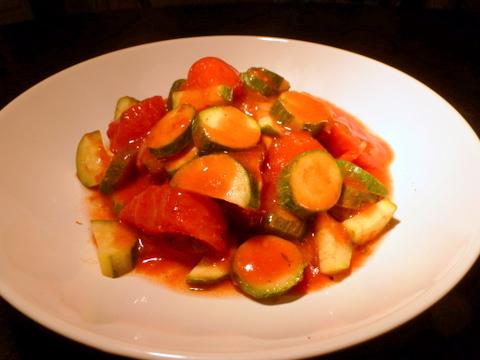 This zucchini recipe is a healthy favorite! 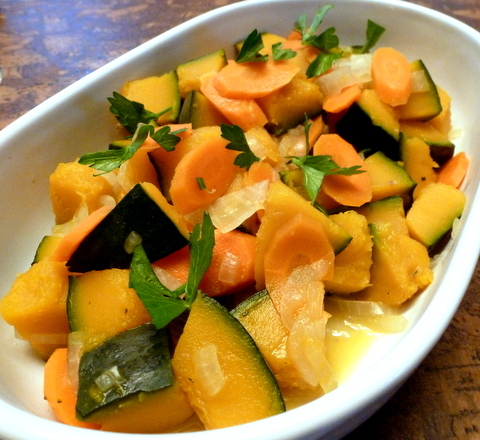 A healthy and colorful vegetable side dish! Quick and easy to saute! 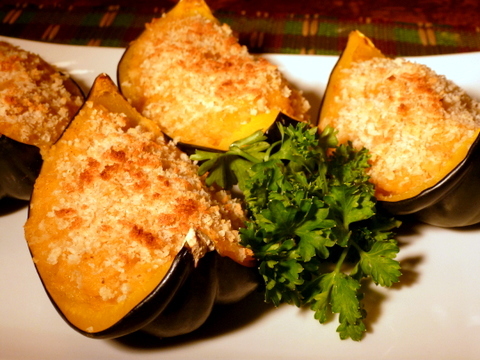 An acorn squash recipe that is stuffed with pineapple and cinnamon! 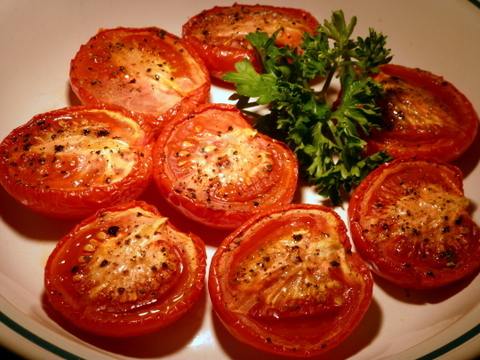 Tomatoes with an intense tomato flavor! Lunch and Appetizers - Here are some ideas to replace the burger and fries, pizza laden with cheese, and other fast food lunches that are making us fat and sick. Dinner - Are you getting enough good nutrition in your main meal of the day? Check out our plant based dinners that can help keep you healthy while satisfying your appetite. Salads - Start you salads with dark green leafy vegetables to make your diet rich in antioxidants and phytochemicals which protect your body from free radicals. Soups - Having a supply of homemade soup in your refrigerator is a good way to replace unhealthy and expensive fast foods. Soups are great for lunch or dinner. Muffins - No need to go without something sweet and yummy. Our muffins are high in fiber, low in fat and sugar. Desserts - Searching for a healthier way to eat? Well, you can still enjoy a guilt free dessert every now and then.